Indeterminate. Regular leaf. 80 days. 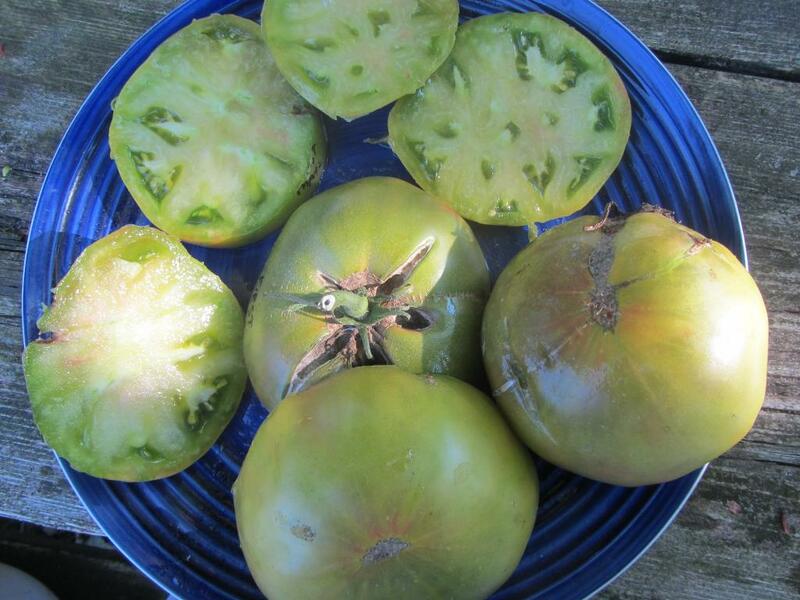 Variable sizes of luscious, earthy, and juicy, green fleshed tomatoes. Some will get up to and over a pound. Plants are generous with their production.